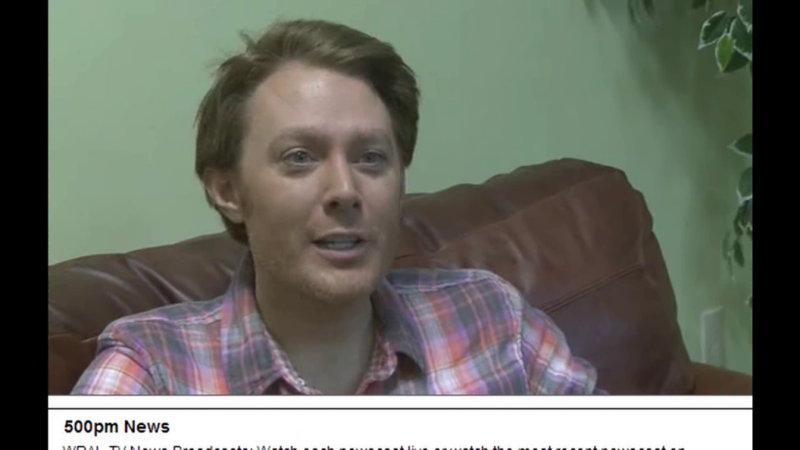 Clay Aiken – A Sneak-Peek! In less than one week, Clay Aiken will be on the stage at the Memorial Auditorium in Raleigh. On May 7, 2013, Clay will start a run as “The Man In The Chair” in the North Carolina Theatre’s production of The Drowsy Chaperone. It has been wonderful seeing the promotion for the play. On Tuesday, there was a wonderful article in Walter Magazine about Clay and the North Carolina Theatre. Then there was a short interview and sneak-peek on WRAL. I loved seeing the photo of the Billboard. The following screencaps are fun to see from the WRAL interview. A big thank you to Dancermom and lindylo for sharing these pictures. Are you going to see the play in Raleigh? I will be there on Tuesday for opening night and will stay for Wednesday! I will try to post anything I find as soon as it is available. What a fun time to be a Clay Aiken fan! What great screencaps!!! Love the Billboard as well. Saw a little clip from yesterday, and I just couldn't get over Clay's acting….just from the little I saw, he was wonderful!!!!! I'll be there for 3 nights, Tues. to Thurs. I am getting SO excited to see Clay and this play…. Yes. 4 of us fans will be there on Thursday night. Love the scans. I look forward to your reports of opening night. I wish I was going to be there! I wish I could see this show. Clay looks fantastic! I LOVE CLAY's RIGHT PROFILE. I am excited to see the play on Tuesday and Wednesday also. I love the billboard picture and the screencaps are wonderful. I can't wait to see Clay! Love the screencaps and the billboard was great, wish I could be there also, wish you the best Clay, although I'm sure you'll be great. Thanks Musicfan for always keeping us updated to what Clay is doing, we appreciate it! Anna, you are hilarious. Me, too, hahahaha. Oh, I so wish I could be there too, but not. I did get to go to the gala last year, tho, so I won't complain… But, OMG, a whole play full of Clay, GAH!!! P.S. Forgot to THANK YOU for these super pics of the man at work! I am getting sooo excited. I can't wait to see Clay and my dear Clay friends. 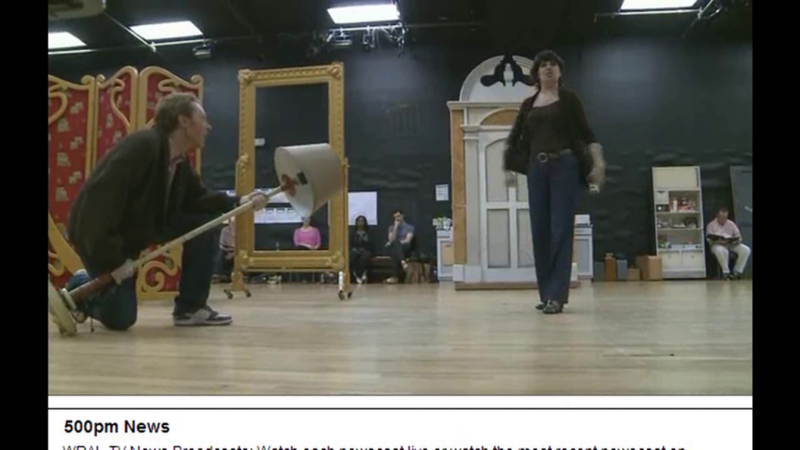 Thanks for the coverage for the "Drowsy Chaperone": Clay was born for the stage!!! Will be attending the show on Wednesday and know it will be fantastic. I used to be a profile person, but Clay has gotten more and more handsome with time. Any angle is fine with me!!! Also have to say Thanks for doing a shameless plug on the Show!!!!! Won't be able to be there in person. (Doggone It!) Will have to rely on the WONDERFUL Caymates to take PICS of him before, during & after show!!!!! Wish I could be there, but will be there in spirit!!!!!!!! Would someone PLEASE be kind enough to send me a program?!!! I got one for Spamalot, since I couldn't be there! PLEASE e-mail me if you're going to be there & would be kind enough to send me a program & I will tell you how you can get it to me!!!! Thanks In Advance & Have Fun All! BTW, Break A Leg, Clay!!!!!! Error: Error validating access token: Session has expired on Tuesday, 21-Aug-18 16:13:01 PDT. The current time is Thursday, 25-Apr-19 23:15:03 PDT.